Now he needs a home for the holidays. 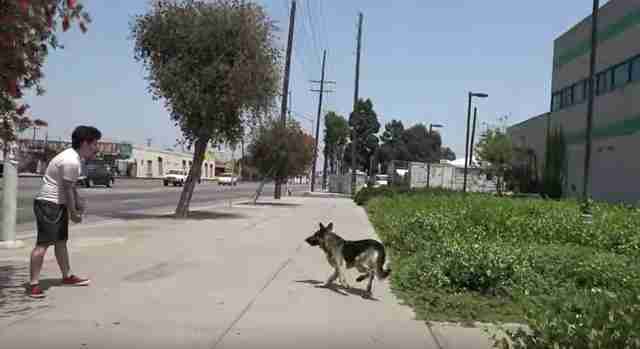 Mozart the German shepherd had been living on the streets around a medical clinic for quite some time. No one knew how he'd ended up there or why he refused to leave that area - just that he definitely needed someone to help him. 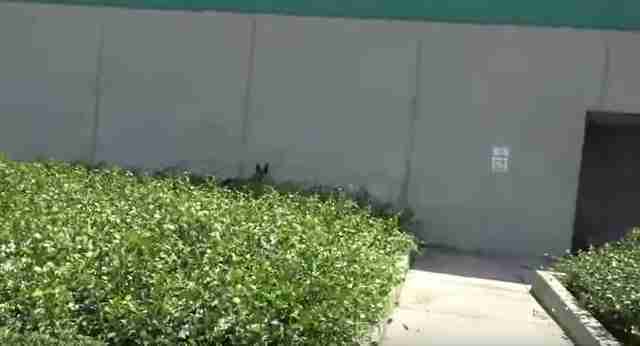 A boy noticed Mozart on his way to and from school, and when he realized the dog was living on the streets, he immediately reached out to Hope for Paws for help. 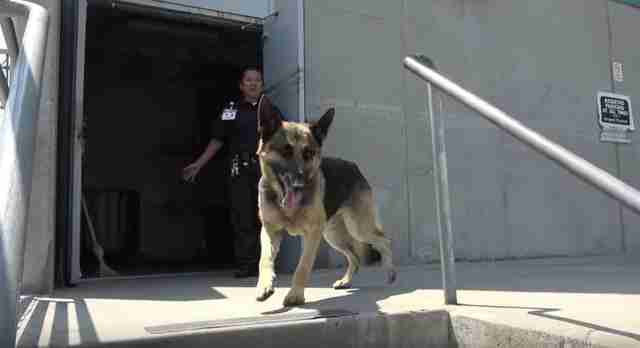 Hope for Paws, a rescue organization in Los Angeles, got the call about Mozart and rushed over to help. The medical clinic Mozart was staying near was right next to an extremely busy road, and rescuers knew they needed to get him out of there as soon as possible. "I don't know how long Mozart was out there, but he smelled like a dead animal which is an indicator that he had been out for a long time," Eldad Hagar, founder of Hope for Paws, told The Dodo. As rescuers watched him, they noticed that Mozart just kept running circles around the medical clinic, and they wondered if maybe he was there waiting for someone. They talked to the security guards who checked with every patient in the clinic, and nobody seemed to know him. "Some cases are just a mystery, and so I don't think we will ever know what really happened to him, how he ended up there, or why he wouldn't leave that location," Hagar said. 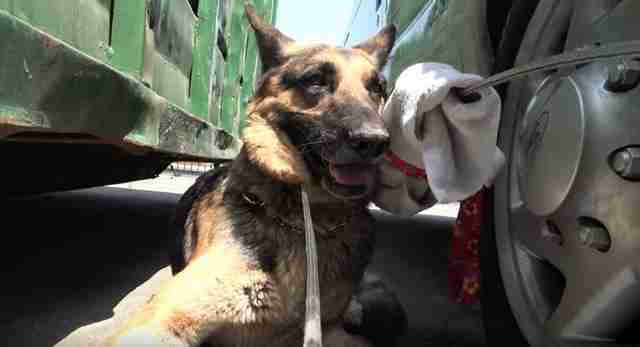 When his rescuers first approached him, Mozart was absolutely terrified and immediately tried to run away. Not even the cheeseburgers his rescuers had brought could coax Mozart towards them, and he kept his distance while trying to figure out how to get away from them. "Luckily, Mozart somewhat trusted the security guards, and he felt comfortable around them," Hagar said. "When they realized we were trying to help, they quickly moved to close the gates. 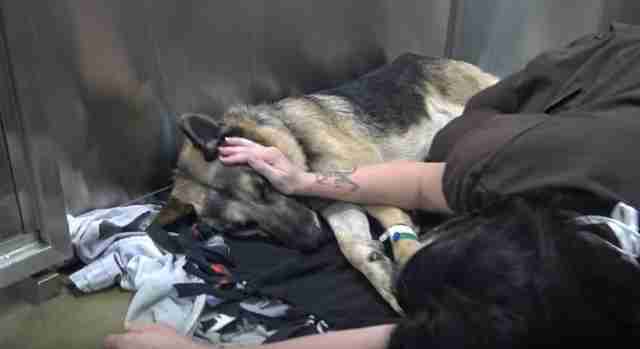 Once they got him to go in, they closed the gate and we had him where we wanted him." Mozart continued to run around the enclosed space, still terrified and unsure of what was happening. Finally, Hagar was able to catch him - and as soon as he did, Mozart was instantly a little calmer. The poor dog was still tense and nervous about being petted and loved, but the longer he sat near his rescuers, the more he seemed to realize that these people were there to help, and that he was finally safe. "He relaxed, allowed me to touch him, and from that point we became friends," Hagar said. As soon as Mozart was caught and safe, his rescuers took him to a vet hospital, where he was checked out and given a much-needed bath. He didn't have a microchip, and so Mozart was placed with a foster family near San Diego to wait until he finds a forever family of his own. "I visited him a few days ago in his foster home, and he is loving his life with his foster parents and all the dogs who are playing with him all day," Hagar said. Now that he's off the streets, all Mozart needs is a loving forever family, just in time for the holidays. If you'd like to adopt Mozart, you can contact Coastal German Shepherd Rescue to find out more.